The Artist & Mentor: Deitch x Swoon at Pen + Brush Inc.
On the left, we have Swoon, classically trained (Pratt), well-known street artist specializing in life-size wheatpaste prints and paper cutouts of figures, often politically movitaved. She gained recognition after a solo show at Deitch’s SoHo gallery in 2005, attracting the attention of The Museum of Modern Art in New York. Her solo show “Submerged Motherlands” at the Brooklyn Museum in 2014 was the museum’s first exhibition dedicated to a living street artist. On the right, we have Jeffrey Deitch of Coney Art Walls, Wynwood Walls and Art in the Streets exhibition at Museum of Contemporary Art in L.A., not to mention the author of several books on the subject, including a monograph on Keith Haring published by Rizzoli, and a partnershipwith the Goldman Group on The Bowery Art Wall. Deitch Projects produced over 250 projects with artists from thirty-three countries ~ an impressive and lengthy list. 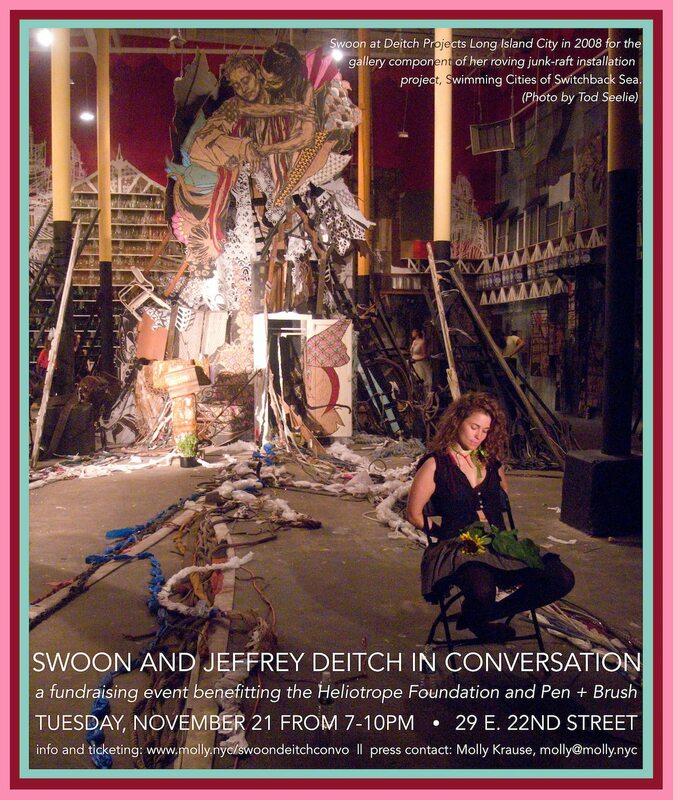 It could have been around 2005, when Deitch reached out to Swoon, and their professional relationship began. 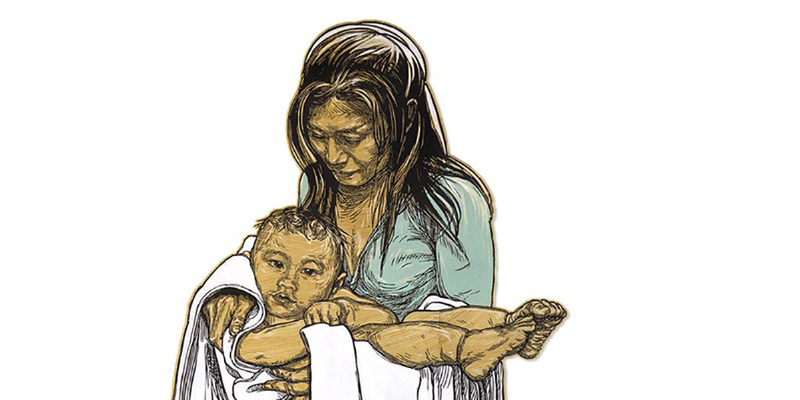 While you’re there, the group exhibition, King Woman, is still on view at Pen + Brush to December 9th.